I sculpt this Antylamon Deva figure for a private commission. 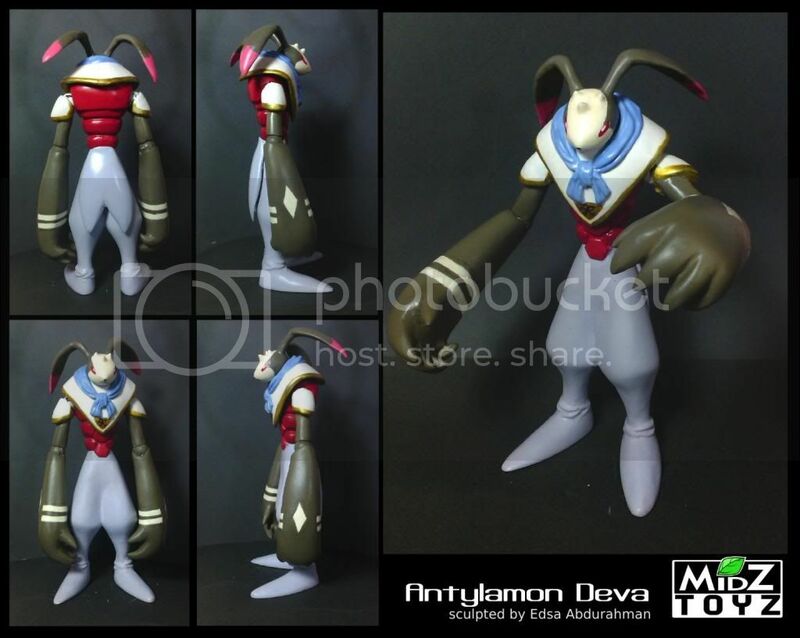 The figure itself is 5,5" and made from polyester putty and MpoxZ epoxy putty.The joints are made using revoltech joint. There is a total of 4 articulation point. Painted with artist acrylic. This is really a good figure. and I really admire this,My favorite digivolution line. I was wondering how much it would be for a commission of a 6" figure with no articulation? Thank you very much. For a 6" painted (non-articulated) statue, the base price starts at US$120 before shipping. Do mind that color, complexity and details will factor in on the final estimate. Inquire me through email with your reference and address to receive quote. October is Monster Girl Month!